Sports betting is one of the UK’s most popular hobbies, but with enough care, plenty research and a smidgen of luck it can be very profitable pastime. Here at Betting Top 10, we are dedicated to doing everything we can to help you to win top amounts of money from sports bookies – they have more than enough cash already in our view. It might not be easy to win big from online bookmakers (if it was, then everyone would be at it!) but our guidance can certainly help to give you the upper hand when you are placing your bets. With so many different sports available to bet on in the UK, not to mention the various odds involved and the massive range of types of bets there are on offer, it can be hard to know how and where to get started. So with that in mind, let’s crack on with BettingTop10’s guide to betting on sports in the UK, shall we? The obvious place to start is with odds, as these are the numbers that will define how much money you can be taking out of the bookies’ pockets and putting back into your own. Fraction odds tends to be the default format with the majority of bookmakers – although exchange betting sites will use decimals as standard – so let’s start with them. A typical example of a price listed with a bookie in a fraction odds is 17/4, which means that you would have to place a bet of £4 to get a profit of £17 back – plus your own initial stake, of course. Let’s take the example of a price of evens, which would be displayed as 1/1 if it was to be listed as a fraction on betting websites. In decimal terms, evens works out as 2.0, because £2 is what you would win for a £1 stake. It is therefore the case that any odds like 10/1 are displayed in simple terms as 11.0 in decimals, while anything lower than evens as a decimal – for example 3/4 – will be 1.75. It is your choice whether to use decimal odds or fractions, but decimals can be sometimes easier to compare the difference between a lot of prices that are all shorter than evens. The first of these golden guidelines is to make sure that you are never going in blind. Instead ensure that all of your wagers are carefully considered – with research and statistics to back them up when possible – as this increases the chances of bets being a winner. Bookies offers such as free bets will be crucial if you are to earn as much as you can from gambling on various sports, while you should also make the most of the many sign-up offers and promo codes that are up for grabs when you are signing up for new bookie accounts. 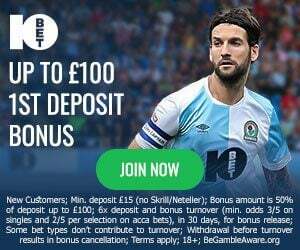 A free bet with no deposit is sometimes on offer too. All of this can help you to get the edge on the bookmakers, but what types of betting are out there and which ones should you be looking at when you are placing your wagers? What types of bet are up for grabs depends much on the sport involved, but whether it is tennis, golf or cricket bets you want to place it is highly likely you will find something to catch your eye. Betting on football is worth over £1.3 billion to the gambling industry each year, with wagering on the Premier League accounting for a healthy proportion of that figure. In addition to England’s top flight it is possible to place bets 24 hours a day on football leagues and tournaments around the world including La Liga, Serie A, Bundesliga Ligue 1, Champions League and Europa League. The leading operators offer thousands of markets including match winner, both teams to score, over/under, total goals, first goalscorer and many more. Horse racing is the second most punted sport online behind football, with events like the Cheltenham Festival, Epsom Derby, Breeders’ Cup and Prix de l’Arc de Triomphe proving hugely popular with bettors. UK & Irish action forms the core of most online bookmakers’ horse racing betting, while wagering on US racing has grown massively in popularity over the past few years. Horse racing in the UK and Ireland is split into two distinct categories – flat and jumps. The flat season generally dominates the summer months, with jump racing taking centre stage during winter. The quality of races in both codes can vary greatly, with different classifications determining what level horse compete at. The beauty of sport is that there is almost always absolutely loads of it happening at any time you could think of – whether it is day or night, summer or winter, where you are in the world. From the horse racing calendar, the two major dates to circle are both in the spring, with the Cheltenham Festival in March quickly followed by the Grand National, which is staged at Aintree. The Premier League is the top tier of English football and is popular with bettors across the world. There are 20 teams in the league, with each playing 38 games (19H, 19A) over the course of a season. The team collecting the most points wins the title and qualifies for the Champions League. The second, third and fourth teams also qualify for the same competition, with fifth place earning a spot in the Europa League. The Champions League is football’s top competition for clubs across Europe. It was previously known as the European Cup, but was rebranded to its current name in 1992. The competition kicks-off with qualifying rounds during July and August, with the games featuring many sides from Europe’s smaller nations. The Champions League group stage starts in September and sees the big guns join the qualifiers in eight groups of four teams. UEFA’s secondary club competition starts in July, with teams across Europe taking part in an extensive round of qualifying games. Some of the continent’s top clubs have enjoyed success in the Europa League including Liverpool, Atletico Madrid and Inter Milan. With the winners handed a berth in the following season’s Champions League, the Europa League has grown into a prestigious competition that offers punters a host of betting opportunities. 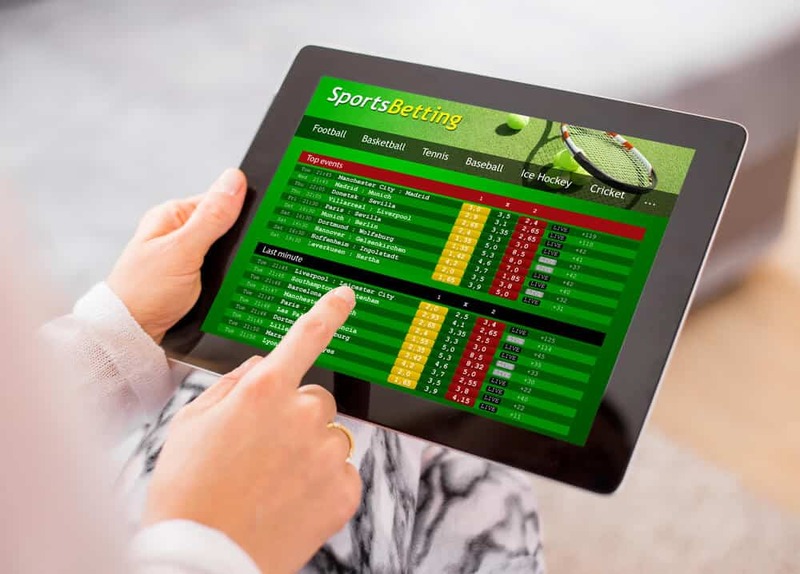 At a deeper level, specialising on one type of bet is a very profitable method for some people, while focusing on just one portion of a sport, for instance the women’s game or youth matches, can help some to develop that much-needed edge on the bookies. Getting the better of the bookmakers is not straightforward but research is always going to be beneficial. While facts and statistics coupled with sports betting tips do not guarantee winners, if they are on the side of your bet rather than against it, then your chances are surely improved. Sports betting should be fun too, so if you get on a losing streak and it starts to get too much, there is no shame in taking some time out to assess your bets, your wins and losses, to work out where you have been going wrong. Tracking all your wagers can be beneficial for this reason. That’s it! Hopefully you have found this Betting Top 10 guide to UK sports betting useful – you should now be more equipped to take on the bookies. Best of luck!